Buffered Vitamin C from non-acidic Calcium Ascorbate has no potential for calcium loss. Vitamin C in large quantities tends to flush out as Calcium Ascorbate. The body absorbing Calcium Ascorabte insures no calcium loss from the body. 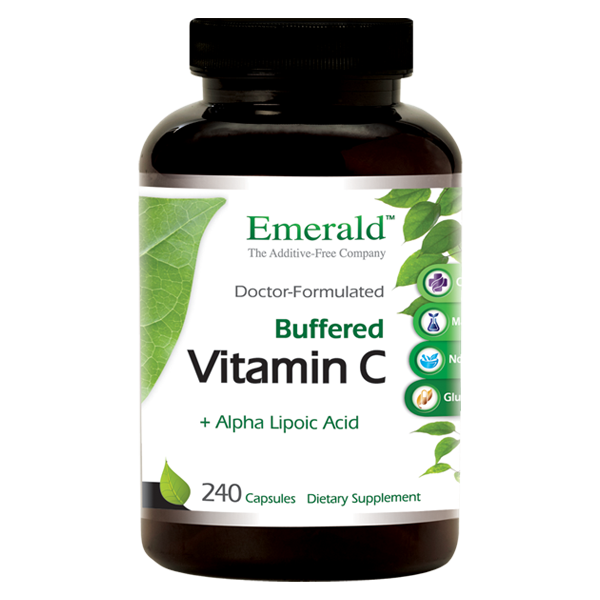 Alpha Lipoic Acid recharges Vitamin C, making it more effective than other brands. Alpha Lipoic Acid helps support conditions such as diabetes, and is a very unique and powerful antioxidant because it is both fat and water soluble. This makes it easily absorbed and transported across cell membranes, and gives it a potentially broader range of effectiveness against free radicals. Free radicals contain one or more unpaired electrons and cause damage by stealing electrons from other molecules such as DNA, proteins, and fats. Antioxidants prevent this damage by donating electrons to the radical, preventing the damage it can cause.